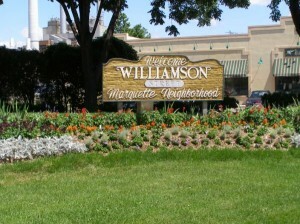 The Williamson Street –Marquette area (“Willy Street” as residents call it) is perhaps Madison’s most thoroughly walkable and funky neighborhood. Less than a mile from downtown, Willy Street blends an eclectic mix of historic homes, unique stores and wonderful restaurants and bars, all within walking distance of Lake Monona, the Yahara River and its anchor, the Willy St. Grocery Cooperative. But beyond the lively businesses, natural features, and stately architecture, is a diverse group of residents drawn together by their desire to live in a neighborhood that values community.